Realise your Potential, Grow with Zheng Keng. 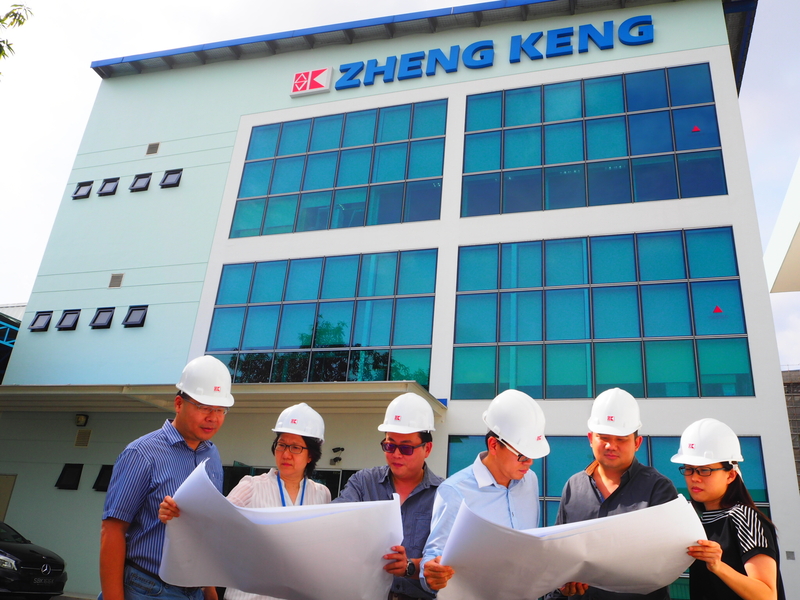 At Zheng Keng, we believe that our people are our most valuable assets who upkeep our core values and safeguard the safety and quality of our projects. We strive to provide all employees with the opportunity to grow and discover their potential through training programmes, mentoring from senior management, and placement in suitable roles that cater to their strengths. With Zheng Keng, your contributions will always be treasured and fairly rewarded. You will also experience the fun side of life as we encourage work life balance through activities and initiatives catered for our employees to have fun. Become a part of our close-knitted, vibrant and forward looking organization. Contact us. •	Minimum 5 years of experience in marketing or sales or purchasing scope. •	At least a diploma in business administration (specialisation in marketing management preferred). •	IT and social media savvy. •	Ability to work as a team cordially with other colleagues. •	Demonstrate leadership qualities and ability in effective problem-solving. •	Versatile and flexible in work. •	Manage a team of purchasers on the procurement of construction equipment/materials for the company’s various projects. •	Organise and lead the team in sourcing and purchasing the most cost effective and quality goods from local and overseas suppliers. •	Establish supplier relationship with suppliers and responsible for negotiating best price and contract terms for the company. •	Conduct analysis and provide reporting/recommendations on the company’s purchasing spending. •	Implement purchasing best practices to the purchasing team. -	Promoting the brand to various audiences through the use of advertisements, events, websites, social media etc. -	Creating the relevant marketing materials for the brand promotion. -	Pitching the products to potential customers. -	Raising the prestige of the brand in the local market. Full-Time Singaporeans and PRs preferred. •	Handles site administration works e.g. raise Purchase Requisitions, ISO filing, filing of Delivery Orders, data entry, manage all site office equipment, carry out simple IT setups, prepare minutes of meeting/progress reports/daily reports. May also be required to help out in tender preparations e.g preparing of forms, organisation charts etc. •	Assist Project Manager in all other administration functions as may be required. •	Liaise with Head Office regularly on site staff and workers' attendance, leave forms, overtime claims, petty cash claims etc. •	Minimum 'O' Level Qualifications. •	Good command of English language. •	Well versed with ISO requirements. •	Good in Microsoft Office, especially Microsoft Word and Powerpoint. •	Good organization and multi-tasking skills, good IT skills preferred. •	Working hours: 8.30-5.30pm (Mondays to Fridays, including alternate Saturdays). •	At least 1 year working experience in project site preferred. Permanent, Full-Time Singaporeans and PRs preferred. •	Prepare tender submissions – prepare/obtain quotations, prepare tender and contract documents including Bill of Quantities, perform cost estimation, cost control and budgeting. •	Drafting and review of contractual terms, prepare final sub-contractor agreements upon tender award. •	Handle contractual matters, including assessing progress claim and payment, variation works, extension of time etc from beginning of project until final account with client and all sub-contractors with minimum supervision. •	Liaise closely with sub-contractors on all payment and claims issues. •	Prepare project budgets for management’s review and approval. Keep monitoring the budget until project full completion. •	Provide advice on all contractual claims and issues. •	Maintain awareness and knowledge of the different building contracts in current use. •	Relevant Diploma/Degree in Quantity Surveying. •	At least 5 years of experience as Quantity Surveyor in general building contracts. •	Well-versed in PSSCOC and SOP Act. •	Good command of Microsoft Excel. •	Good interpersonal skills and negotiation skills. •	Manages and oversees building construction projects, from planning to budgeting to making implementation. •	Responsible for project profitability and ensuring project is completed on time. •	Closely manage and coordinate with the project's different stakeholders including clients, consultants, authorities, subcontractors and suppliers etc. •	Supervise site staff in day-to-day operations, monitor and ensure safe implementation of work. •	Minimum Degree in Civil Engineering recognised by the PE Board. •	Minimum 5 years of related experience in building construction projects. •	Strong interpersonal, organisation and communication skills. •	Candidate must have drive and passion for project management work.